Starts on March 9, 2019. Starts on March 15, 2019. For information regarding the 2019 tournament download the entry and roster sheets, call us at 800-543-4010 to make reservations. Paid entries will guarantee you a spot to bowl in the World’s Finest Bowling Tournament. Starts on April 23, 2019. Starts on April 26, 2019. 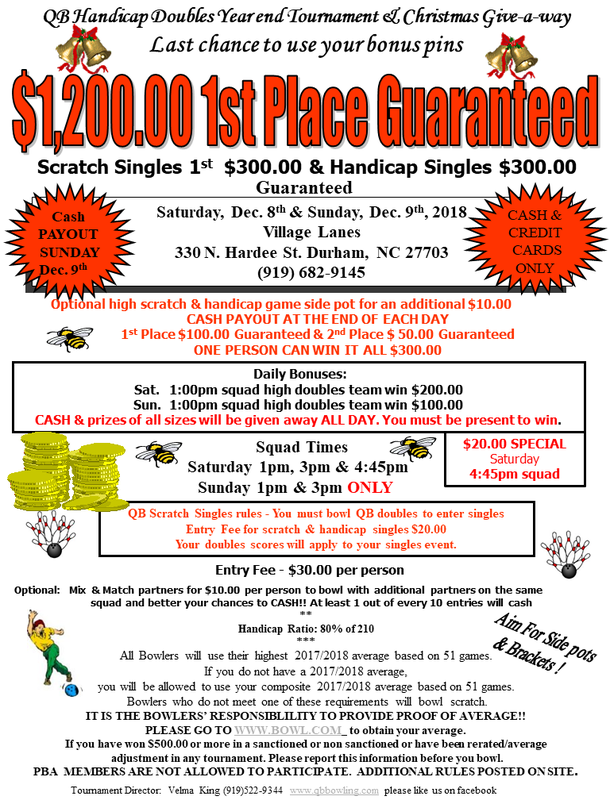 The Lumberjack Challenge is the official companion tournament of the legendary Petersen Classic..Based on 500 entries, first prize is $2,500 for this 9-pin no tap tournament. The Petersen Classic has long been one of bowling’s grand events. 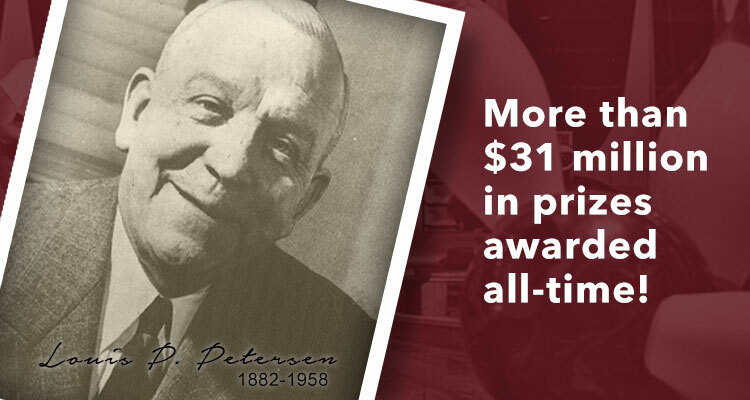 Founded in 1921 by Louis P. Petersen, the tournament now enters its 107th edition in 2017. SIR Membership is open to men regardless of age, race, national origin or religion. We don't raise money. We don't have a political agenda. We don't have a religious orientation. We don't sell light bulbs or anything else. Starts on April 27, 2019. Tournament Director: Jim Ryan Jr.
For more information or questions, contact Ramsey Basurto 661-418-8007 OR Troy Brooks 661-468-3796. Texas State USBC Association, Inc.
Starts on April 28, 2019. THE Most Accurate, Up-To-Date, Bowling Tournament Locator, Finder, Calendar, and Bowling Alley Information available Anywhere! Enter ALL your tournaments HERE for free. Just click this link to go to the Tournament Submissions page. Tournament listings that are in the calendar also appear on the Bowling Alley’s individual page. Over 6000 bowling alleys listed – present and past. Solar activity affects everything electronic on the planet as well as in space. With this monitor you can have some idea when cellular equipment, computers, and the like, are more likely to "whack out" without plausible explanation. And, of course, this will let you know when to look for The best Northern Lights (Aurora Borealis). We appreciate most feedback 😉 . We accept submissions, photos, and videos, so if you have an something you’d like to share, please feel free to submit. Your feedback is essential–Your contributions are appreciated. can relieve this poor fella’s toil. Rate your bowling alleys for quality of Services, Prices, and more. There are 5 categories. Go to the individual bowling alley page and rate your favorite lanes. Comments are taken there. See all the ratings on the Ratings Page. Yield to the bowler to your right if you’re both up at the same time. Do not step onto your approach until the other bowlers on adjacent lanes have stepped off theirs. Ten pin bowling is not the only form of bowling. 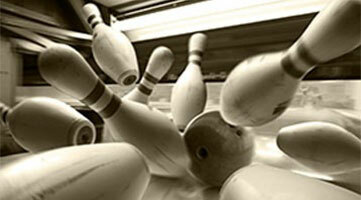 There is also 9-pin – Not to be confused with No-tap, where one knocks down 9 pins to get a strike. This game actually uses 9 pins arranged in a diamond pattern. The game is much older than ten pin and has a different set of rules. Click on the logo above to find out more about actual 9-Pin Bowling. Candlepin bowling is played with different balls and pins than either Duckpin or regular 10-pin bowling. The pins are not tapered and the balls are softball sized. Players are allowed 3 balls to down all the pins – Dead wood is NOT cleared away between tries. Candlepin is most popular in the Canadian Maritime Provinces. Note the size and shapes of the pins as well as the small bowling ball. Duckpin Bowling is a variation of 10-pin bowling, played mostly in the Northeastern US and as far south and west as Indianapolis. The balls and pins are smaller than those in 10-pin bowling and players are allowed 3 tries to knock down all the pins. Ice Bowling is the opposite end of the scale from lawn bowling. Increasingly popular in northern climates, the game is played on frozen lakes and indoor arenas. Swiss Bowling A Swiss-system tournament is a non-eliminating tournament format which features a predetermined number of rounds of competition. Each competitor (team or individual) does not play every other. Scotch Doubles is a game where teams of two bowlers compete while alternating shots, regardless of whether they strike, spare or open. Baker Bowling is a team format where more than 1 bowler comprises the score of one game. The most common Baker game is with 5 people where each person bowls 2 frames. See link for details.